Developing apps and games on my free time. Eager to learn new things and lots of ideas, but so little time. Apps and games for you! Here is the list of all the applications and games that I have released on the App Store and Google Play. Calculate the discounted price easily. 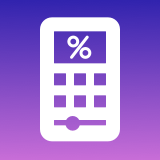 Enter price and use quick buttons to select the percentage! You are a lone survivor and you must defeat all the enemies coming as long as you can. Simple app to display your speed while you are driving. Quick and handy tip calculator. Â©2018 Sami Korpela. All Rights Reserved.